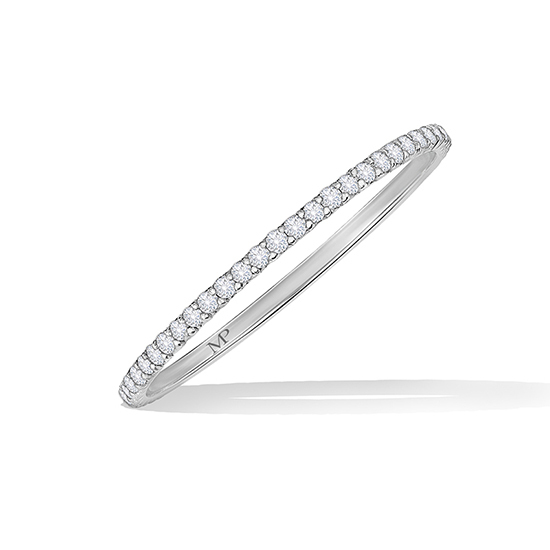 What sets this apart from all other micro pave diamond bands is the width, which is a mere 1mm wide! 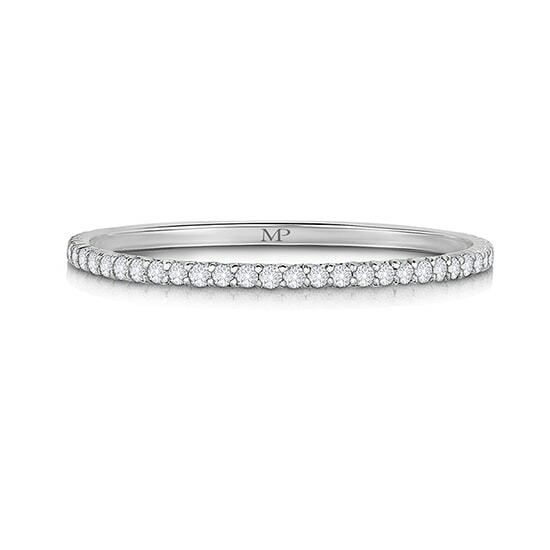 Only Marisa Perry can provide such razor sharp diamond setting on such a thin piece of platinum. 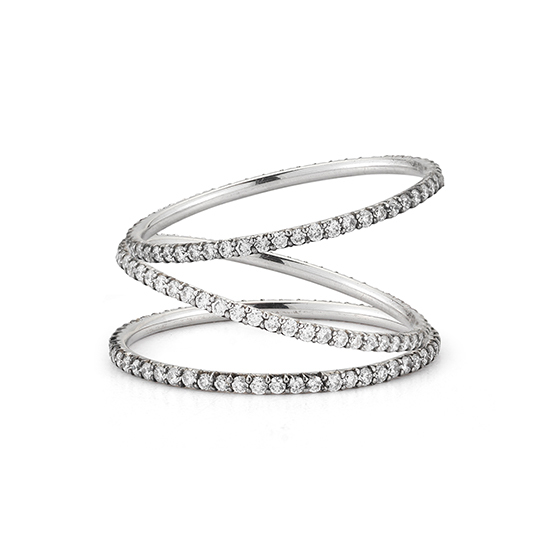 Its delicate appearance enhances most any ring you wish to stack with it. It can also stand alone. Come in and try it on! This ring can be made in any finger size.